Are dogs over populated? 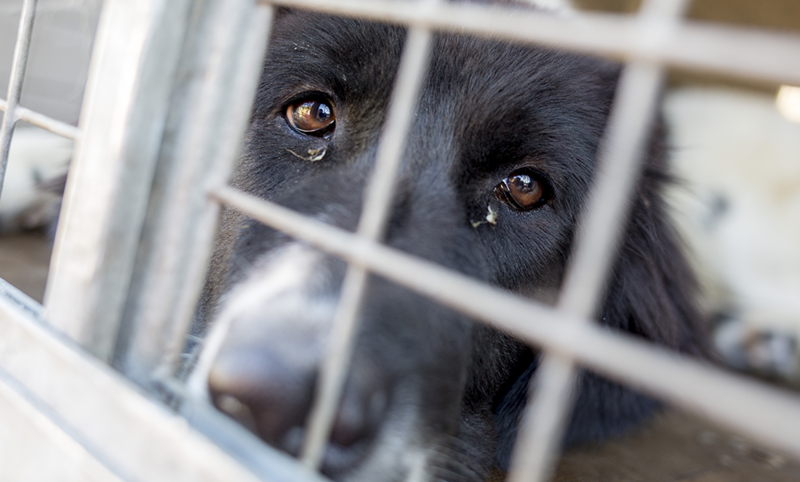 Should we stop breeding dogs until our shelters are empty? Is it wrong to buy a puppy when so many dogs need homes? These are some of the important issues addressed in this article. It is similar to other tweets I have received in the past. The limitations of a tweet! Discussing these kinds of complex issues on Twitter is difficult. 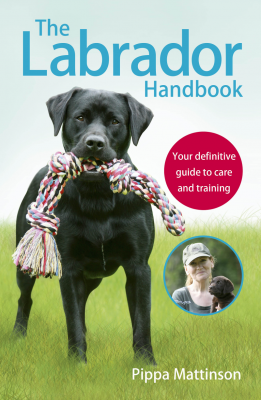 I have enough trouble explaining what I had for breakfast in 140 characters, never mind explaining the reasons for providing important, and potentially life changing, information for people that are about to step into the world of dog ownership! The same thing happens regularly on my Facebook pages too. Sometimes accompanied with rude remarks, sometimes not. But that is the internet for you. Propaganda and rudeness is usually just taken down, but for those that try to explain why they are angry with me, I do try to be patient and explain where I am coming from. It is a little easier on Facebook to discuss these issues, than it is on Twitter, but I do find I am repeating myself by giving the same information out to the various people who make these posts on a regular basis. What you will find here, is information for those that oppose dog breeding. It is information that I feel helps give this debate some balance, and shows both sides of the story. I think I speak for all of us when I say our hearts go out to dogs in shelters. However, some people have decided that the solution to this horrible problem is for dog breeding to stop. Completely. And it is the potential effectiveness, and ethics of that campaign that I’m going to be discussing here. I am sure that those who promote the #adoptdon’tshop campaign are usually caring people. They strongly oppose the breeding of dogs in any context while there are still dogs in shelters waiting for permanent homes. And although I don’t happen to share that view, I feel that it deserves consideration. There are a number of questions I am going to try and answer here. Of course the conclusions are just my opinion, but I have tried, as I always do, to approach this from an objective and caring standpoint. Are there too may dogs in the world already? Why do some dogs end up in shelters? Does the adopt don’t shop campaign work? Overpopulation of dogs – fact or fancy? It seems reasonable to assume, doesn’t it, that if there are dogs in shelters waiting for homes, that there are too many dogs in the world. Nathan J Winograd does not think so. He questions a number of claims made by those who support the adoptdontshop campaign and concludes that there a not nearly enough adoptable dogs in shelters to supply the demand from the American public. This is an interesting point because if they are correct, then the belief that dogs are wildly overpopulated is in fact erroneous, and we actually need dog breeders to supply the shortfall. Winograd is not the only person claiming to demonstrate that the demand for dogs falls far short of the number of adoptable dogs available. Christopher Landauer points out the the numbers of dogs dying in shelters in America has been falling for years. Why do some dogs end up in shelters and can we prevent it? There will always be irresponsible people who breed puppies that are unhealthy, or have unstable temperaments. There will always be people who breed puppies that are unwanted, undesirable, and not needed. These puppies will often end up in shelters or pounds. There will also always be well bred puppies who end up in shelters and pounds because the families who adopted them were not suited to dog ownership at that point in their lives, or because they fell on hard times. These are hard facts. While we live in democracies with a relative amount of freedom to live our lives as we choose, these facts are not going to change. The fact that so many dogs die in shelters in the USA is a big problem. Winograd believes that the ‘kill’ policy of many American shelters, and that the way they are managed, is the problem. He contends that 90% of dogs are adoptable if only the money were allocated to rehoming them. Which brings us to the question of who should be responsible for ensuring that the dogs who are currently in shelters find permanent homes. There are many shelters all over the country, both in North America, Europe, and beyond. One of the important questions in this debate, is who should be responsible for those dogs. Is it you? Or me? Society in general? Should the government be responsible? At the moment, most shelters are run by charities. Many shelters in the UK are ‘no kill’ rescue centers, but in the USA and elsewhere, many shelters have a policy of euthanising any dog that is not claimed or rehomed quite quickly. This is obviously a heartbreaking situation, especially when healthy, happy dogs that would make great pets, are simply put to sleep for ever. Many rescue charities do a great job of rehoming the dogs in their care, others are more of a processing center where dogs not rehomed do not survive more than a few days. Some would like to see governments take over the role of managing the shelter system, or better support and training for the charities involved and those working within them. Others feel that the burden of responsibility lies with us, you and me. Those behind the #adoptdont’shop campaign feel that it is our job to take on these dogs, and that if we do not do so, we should forfeit the right to own a dog at all. 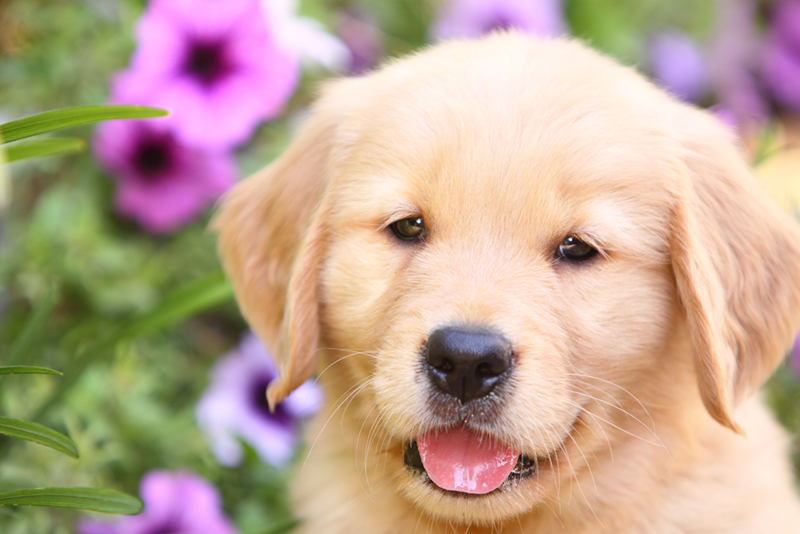 Most would regard the idea that breeding and purchasing puppies should be banned as an extreme view. But is it? We have already touched on the first belief. And many now consider the overpopulation argument to be flawed. Putting people off puppy buying may encourage a few more people to rescue dogs from shelters, but not many, and not necessarily in the long term. Because this is not a simple issue. The fact is, that for many families, and for many individuals, there is a time in their lives when a rescue dog would be the best fit for them. And times in their lives when a puppy would be a better option. And if someone badly wants to raise a puppy, and is prevented from doing so – even if that were possible – they are unlikely to suddenly become a candidate for adopting a dog. Is it your duty to adopt a dog? When it comes to a question of duty, this is very much a matter of opinion. It comes back again to those people who breed dogs irresponsibly, when they have no hope of finding good homes for them. And for those who buy puppies on impulse without thinking of the consequences. These, for the most part, are the people who are feeding a steady stream of dogs into rescue centers. The question is, is it your job (or mine) to pick up the pieces? Something that most of us would consider an act of charity. Is dog breeding a form of abuse? Here we come into an even more complex moral argument. I know that some animal rights organisations oppose the keeping and breeding of any animal, on the grounds that animals should all be wild and free and not used for any purpose by humans. Whether for food or friendship. This isn’t a view I can claim to even understand, never mind share. But it is a view held by some. However, the argument is fairly academic, as the chances of dog breeding being banned by law in the near future seems fairly slim. What happens when someone posts an #adoptdontshop slogan up on my Facebook page? Do you think this changes anyone’s mind about buying a puppy? I think if anything, what happens is simply that people become reluctant to talk about the puppy they are intending to buy? And the result of that? More people taking on puppies without the right information and resources. And where does that all end? In all probability it ends at the shelter. Which brings me to the key point made by my tweeter above! Why do puppy buyers need educating? Sadly, there are a lot of people out there who think it is appropriate to go out and purchase a puppy in the same way you might purchase a sweater. By just browsing and picking the one that appeals to you. The problem with this approach of course is that puppies are living breathing animals and that some are entirely unsuitable for some families, while others come with a whole range of health issues that will break your heart and drain your wallet. A puppy or older dog, also changes your life irrevocably, and if you are to provide a stable loving home for a dog, you need to be sure you can cope with this new life before you kiss goodbye to your old one. Should we educate puppy buyers? The point made by my tweeter was that I am ‘promoting’ puppy buying by educating puppy buyers. I suppose you could claim that any kind of education is promotion. People have said the same about contraception, abortion and a whole range of other topics when trying to oppose the production of educational material. The truth is, people usually make better, healthier decisions based on information than on lack of it. And I know for a fact that my information on puppy buying has made people put off the decision to buy a puppy because reading it made them aware they were not ready for the responsibility. If my tweeter finds that upsetting then I think we are never going to agree. So yes, of course I think we should educate puppy buyers and that is what lies at the very core of this website. Most of us at some point in our lives, may be in the right place to foster or rescue a dog. This is not always a straightforward undertaking. Some rescue dogs have been traumatised, some have problems, and not every family is equipped to deal with them at every point in their journey through life. If it is the right time for you and your family to rescue a dog, it is a hugely fulfilling and rewarding experience for you. If it is not the right time, it can be a very difficult and unhappy one. Don’t forget, if you are not ready to adopt at this point in your life, you can support your local shelter in other ways, donating money, blankets and even volunteering in your spare time. Raising a puppy is also a unique, enjoyable, and valuable life event that many people will want to experience at some point in their lives. And I believe that no-one should be able to tell you that you don’t have the right to enjoy that experience at least once in your life. The big problem with extremism is that it ignores the ‘means’ in it’s pursuit of the ‘end’, and can easily blind those involved to the fall out from their actions. It also fails to take into account human nature, or the rights of the individual. In this case objecting to the education of puppy buyers ignores the vital fact that those who buy puppies without help, support and preparation will six months down the line be adding to the very shelters the campaigners want to see emptied. 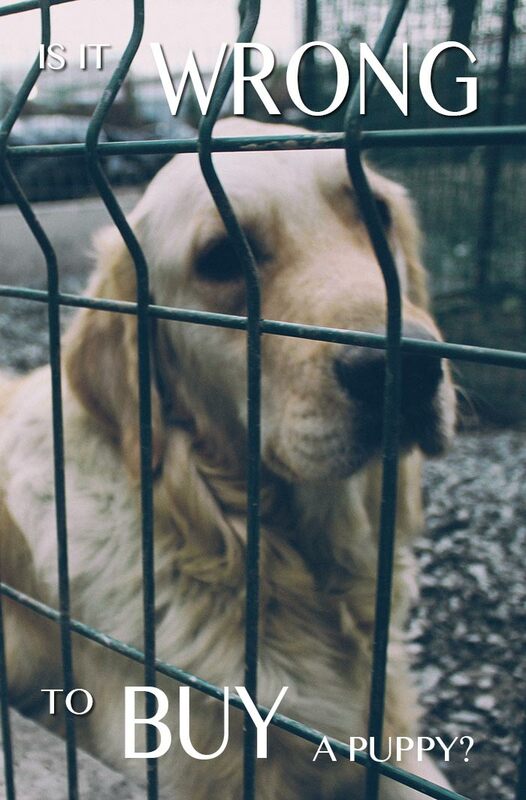 Less information for prospective puppy buyers means more abandoned dogs, not less. I don’t think you can win hearts and minds by telling people what to think or do. Or by trying to impose your world view on them. Education on the other hand is vital. That’s my view – what’s yours? 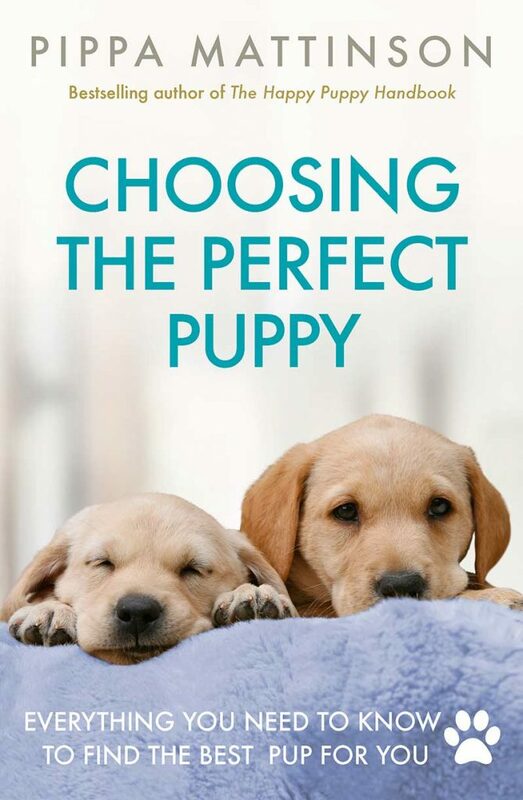 Do you think it is wrong to buy puppies? Share your thoughts in the comments box below. 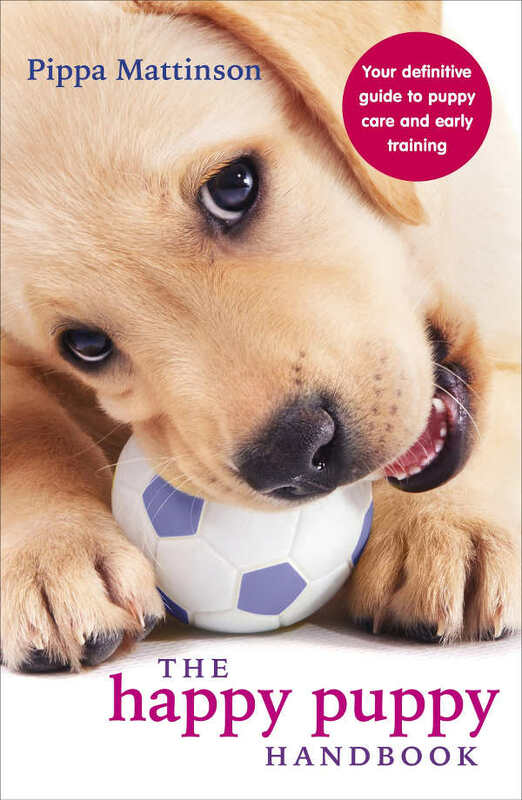 Dog training and behavior expert Pippa Mattinson is the author of best selling dog books including The Happy Puppy Handbook, The Labrador Handbook and Total Recall. My lab came from a responsible breeder and I pick up my next one in a couple of weeks. shelters around me are all small dogs or mixed with a breed I don’t particularly care for. The papers my girl has means nothing to me honestly but the care in her health, temperament and how she started her early life are priceless. Rescuing a dog saves 2 lives: the dog you’re adopting, and the dog that takes its place at the rescue. I am on my 6th rescue. Yes, sometimes they have health problems or behavioral problems, but it takes TIME. In the same amount of time it would have taken to socialize, housebreak, and train a new puppy, you can do the same for a rescue dog. Save lives and adopt! There are far too many backyard breeders out there. thank you for this well informed and thoughtful article. i just had a niece try to shame me for wanting to get a bernese mountain dog vs adopting a dog from the shelter. i have adopted or taken in strays, my entire life (now 53yrs old) and decided now i want the breed i’ve always longed for. the little turd got me rethinking my decision, enough to research specifically adoption vs reputable breeders. I am well informed and am standing by my decision and just as importantly I will not allow a 20 something (even though i love her dearly) to shame me in anyway. It absolutely would not have. The trauma of a rescue dog often lasts for life – it toik YEARS for my rewcue dog to stop being scared we’d abandoned her every time she was left alone. Years. Rescue dogs can take far more time and effort than a puppy and to promote any other idea contributes to the plague of dogs shuffled from home to home. I couldn’t agree with you more. I understand what shelters need money to do their work but the adoption fees and background check just make it too burdensome for me. I am an advocate of both very responsible breeding and equally responsible rehoming procedures . I have done both , having a Labrador puppy from 9 weeks of age and also rehoming on numerous occasions , both rewarding . I do believe that many people buy pups simply because rules and regulations of many animal shelters can be far too restricting , as in the need for a Fort Knox type of garden , no young children and no placement where everyone works . Maybe tighter restrictions and policing of back street unethical breeders would help , I see them advertising every day on social media . We are the fourth home in two years for the little deaf dog I have recently added to our family , it is truly heart breaking that people can buy on a whim , and then give away equally as easily . 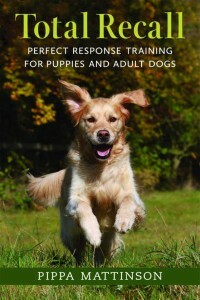 More education on what it means to own a dog , be that from puppyhood or rescue , is the way forward . My dog went through eight homes by the time she was three and found us. She is now ten, and it took a long time for her to realise we would never let her go. Poor darling. I’m one to buy from a breeder, however I’m a dog trainer, however I do Private Beagle Rescue and everyone understand my purpose and why I would never adopt a dog. I have had in the past nine in a half years a few Beagles I would have kept. Your article is spot on and yes “”I don’t think you can win hearts and minds by telling people what to think or do. Or by trying to impose your world view on them. Education on the other hand is vital.”” It seems when I train a dog from a Rescue or Shelter it takes longer and I have to explain to the human why things take longer. Not everyone is able to just adopt a puppy or dog. I liked this article…I am one who is adopt don’t shop because I am a foster for a lab rescue. However, I understand if people want purebred dogs or certain breeds they should go to a responsible breeder…..not a pet store or puppy farm…..those dogs are treated like livestock and are usually kept in poor, unhealthy, inhumane conditions and should be banned! I’ve adopted dogs in the past. Unfortunately with my situation and 3 kids. I adopted a child with a rare brain condition and having 2 smaller kids. I needed a dog with the right temperament. Unfortunately my sister went thru a divorce and she has a bunch of well bred pedigree labs. One of which has the temperament for a service dog. He’s almost 2 years old and we are flying from California to NY and I will work closely with the dog and will be turning him into a therapy dog. I would never bring an adopted dog into this house with the situation that I am in. But I love animals and will always have them. We did adopt a German Shepherd when he was 9 months old and he’s in poor health from bad breeding with bilateral hip Dysplasia. He’s not even 9 years old.